Paul Madden Antiques has been a major dealer in Nantucket Antiques since the mid 1960's. 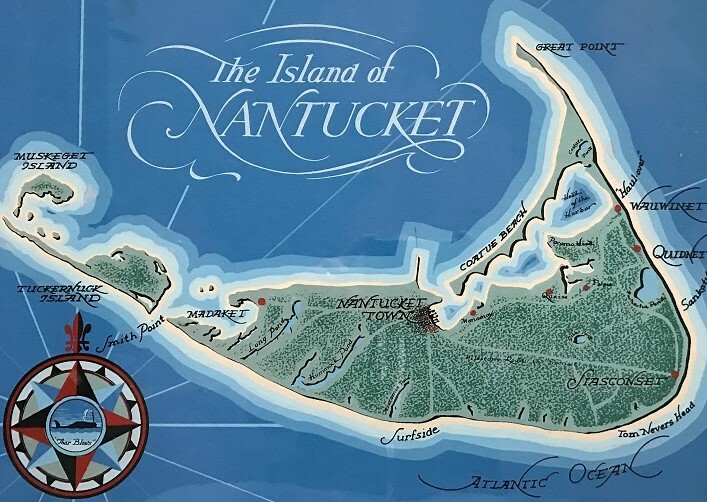 We are a regular exhibitor at the Nantucket Summer Antiques Show and are proud of our contributions to the many great Nantucket collections and museum exhibits of the last 60 years. Looking to sell your Nantucket Antique? Give us a call or better yet, send us a few images. We are always looking to buy authentic vintage and antique Nantucket items. Whether you are a looking for a collectable souvenir or an important item of Nantucket history, please contact us for friendly expert advice. Unusual old Nantucket ice water cooler. Antique Nantucket wooden shoe form . Rare souveinr booklet "Nantucket Characters"
Rare Nantucket souvenir booklet "50 Glimpses"
Collection of The Skipper restaurant paper memorabilia. Rare American book MARY MITCHELL, of Nantucket 1812. Rare DAG of Charles A.and Sarah C. Macy 1850's. Antique Nantucket photograph album circa 1910. Antique Nantucket marker circa 1875. Antique Daguerreotype of Nantucket boy. Rare antique tin needle sheath "RACHAL HUSSEY"